Pictures obtained by Carlow Live show another shocking incident of fly-tipping in Carlow. It comes after Carlow County Council launched an investigation when some 720kgs of rubbish was picked up over the weekend after an act of illegal dumping along the Ballybit Cross to Rathmore Road which was described as "totally shocking". 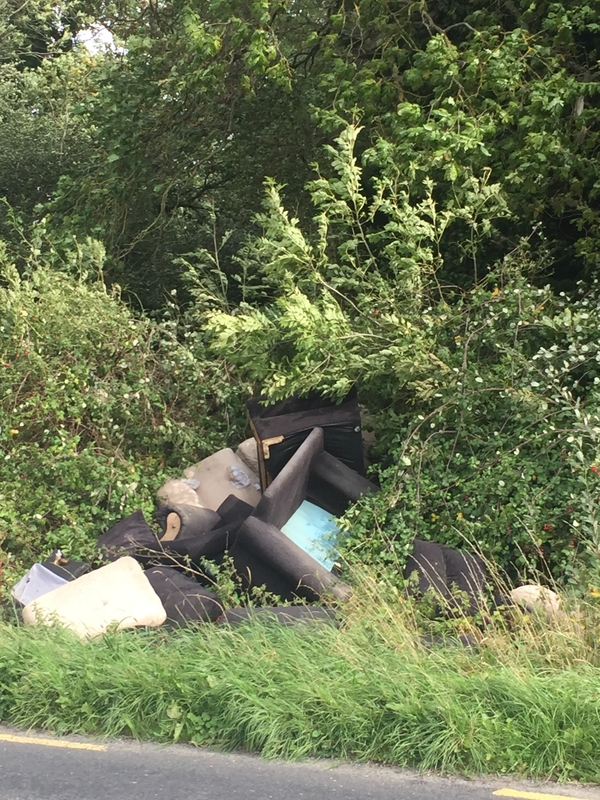 Images (pictured above and below) from the bout of illegal dumping on the main Carlow to Athy road show armchairs and cushions thrown into a ditch.